Clothes drying on a line in Largo do Tanque favela. 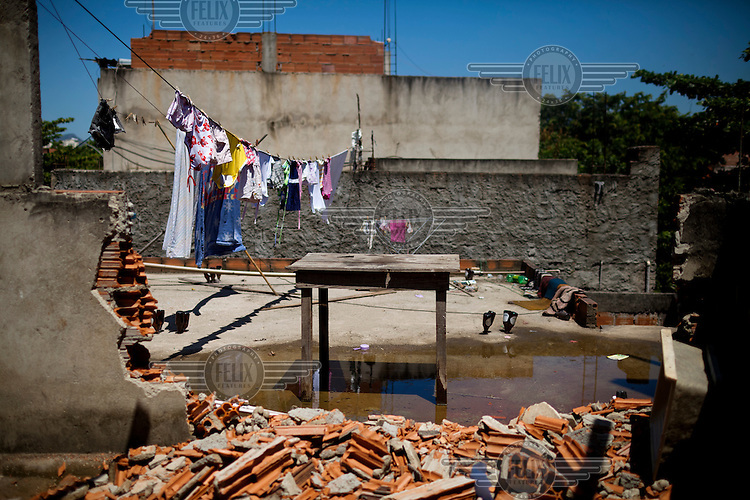 Residents of Largo do Tanque have undergone forced evictions and the demolition of their homes in to make room for the Transcarioca Highway, that will eventually be built to accommodate the 2016 Olympics. In less than two weeks, 54 houses were demolished with sledgehammers and bulldozers. The city assessor sent to handle negotiations told residents not to speak with one another or seek legal advice otherwise he would reduce settlement offers. Many residents agreed to compensations of around BRL 7000 (USD 3500).